The NYC Chiropractic office is dedicated to chiropractic, non-surgical spinal decompression, and physical therapy. Our team utilizes the most advanced integrated chiropractic solutions available on the market. Our chiropractic health programs are designed for each individual's specific needs. Our chiropractors are gentle and provide thorough consultations for every patient. We will teach you about spine health, nutrition, and exercise. We provide non-surgical, non-invasive chiropractic treatments for pain management, along with Non-Surgical Spinal Decompression using the DRX 9000. Dr Shoshany works alongside Swapnali Shinde, a Doctor of Physical Therapy who has extensive training in Rehabilitation and Physical therapy. Physical Therapists are trained in both the evaluation and treatment of musculoskeletal injuries. 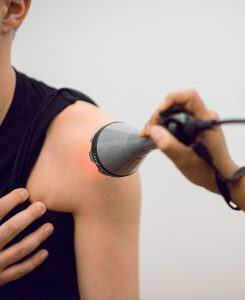 They use a combination of hands-on techniques along with specific physiotherapy "modalities" such ultrasound, electric muscle stimulation, and exercise. "Manual Therapy" consists of such things as Myofascial Release techniques (deep tissue treatment by hand), stretching of restricted structures and soft tissue and joint mobilization/manipulation. In addition to hands on techniques, our physical therapists use an extensive array of therapeutic exercises in treating patients. It is a two step process starting with an evaluated to identify where the problem areas exist for each patient. Following this evaluation, the physical therapist creates a customized program of strength and flexibility exercises. The result is that our patients get back to an active lifestyle faster by becoming more fit. Another way we help our patients is to create a home program of care so they become less likely to return with the same complaints after we finishing treating them. These are detailed exercise programs centered on their specific needs at the end of their care. We find that this extra step keeps most of our patients from returning over and over again with the same problems. 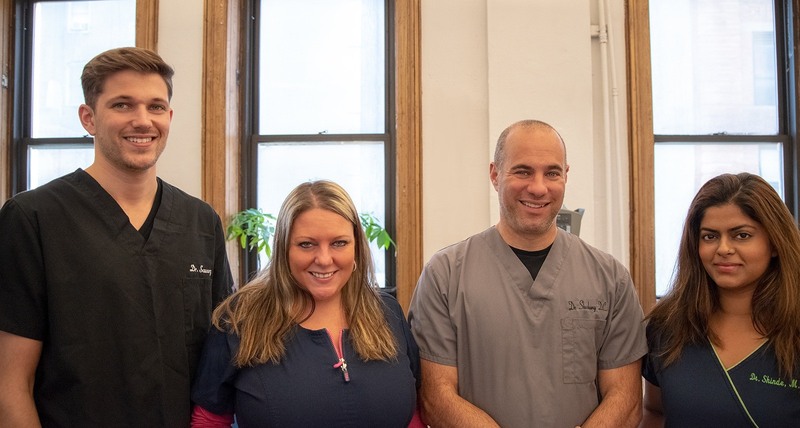 At our SoHo practice we focus on an integrated approach to treating all of our patients. Associate chiropractor Dr. Tyler Savory works alongside Dr. Shoshany. Dr. Savory uses a functional movement based approach to also help patients figure out the everyday causes for thain pain and injuries. We see and treat a very diverse demographic of New Yorkers, and our approach reflects the needs and goals of each individual. Our patients' goals and lifestyles range from people who just want to be able to walk around pain free, to marathon runners, and competitive athletes. Dr. Shoshany's approach to spinal decompression is to integrate and expand upon decompression as a foundation. Patients will usually undergo decompression, and chiropractic adjustments are used to properly align the entire structure of the spine. The long term results are to allow the intervertebral discs to heal naturally and remove interference and impingement of the spinal nerves. Dr. Shoshany specializes in both spine and sports related injuries. His background is in Chiropractic, Pediatric Chiropractic, and Sports Injury Management and is a spinal decompression specialist. 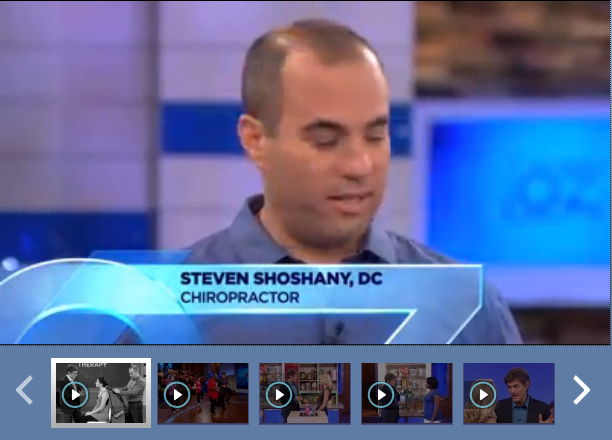 Dr. Steven Shoshany's skilled chiropractic background creates unique insight into many problems. His practice has a primary focus of delivering highly effective, state-of-the-art, gentle Chiropractic care to people of all ages. Living and working in New York City offers Dr. Shoshany the ability to offer emergency Chiropractic care when needed. Dr. Shoshany is the Founder and Director of NYC Chiropractic, specializing in Spinal Disc Decompression. Our team of physicians are dedicated to Non Surgical solutions in treating Herniated Discs. Doctors throughout the United States consult with Doctor Shoshany when it comes to treating Disc Herniation with Spinal Decompression. Dr. Steven Shoshany is one of first Chiropractors in NYC to become a Certified Kinesio Taping Practitioner. 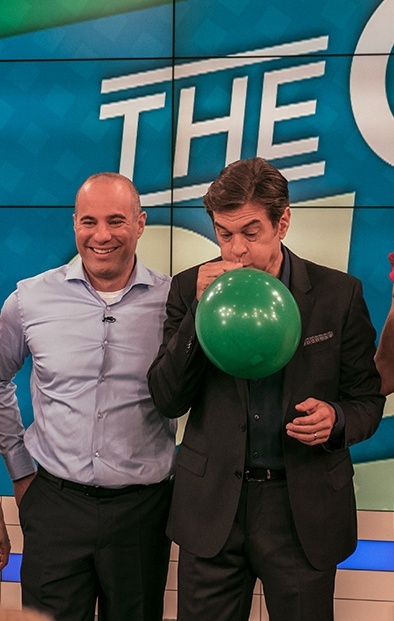 Dr. Shoshany is also a regular on health, and lifestyle television shows. He has been advocating for chiropractic, physical therapy and proven, natural approaches to dealing with pain, and chronic discomfort for over 15 years. 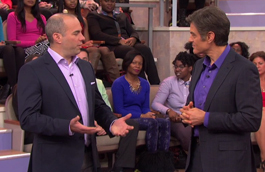 He has been featured on the Dr. Oz show 11 times and serves as a chiropractic expert for a number of national and international news media. of all medical massage is usually covered by some New York insurance policies. This soothing, full-body massage targets areas of tension during pregnancy, and will help relieve lower back pain, sciatica and water retention. An excellent way to increase circulation, this technique allows you to lie down safely and comfortably, and can be used anytime after the first trimester. Illia is our office manager and has many years in dealing with the ins and outs of insurance companies in New York and is an expert in correctly submitting medical insurance claims for Chiropractic care and Spinal Decompression in New York. If there are ever any questions she can easily clarify them usually with just one phone call. Illia is a valuable part of our team, just give us a call at (212) 645-8151. We can verify to see if your insurance company will pay for Spinal decompression using the DRX 9000. Massage is covered under most major medical policies. New York State law requires that all insurance carriers pay for Chiropractic care. Most insurance plans are accepted without an outside referral by your doctor or insurance carrier. Call us now at 212-645-8151 for an immediate appointment.